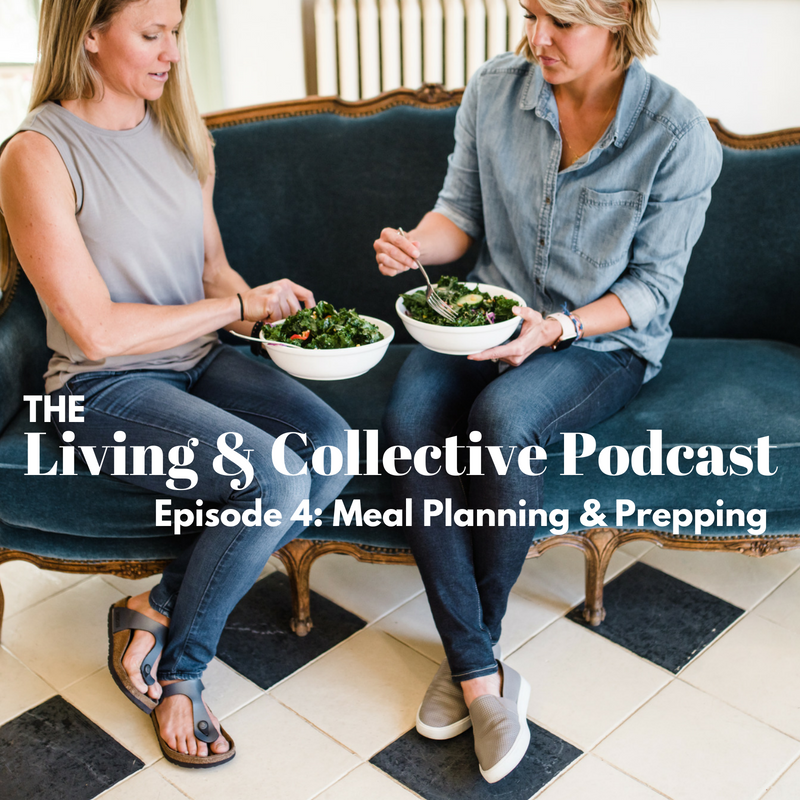 This week on the Living & Collective podcast, Lacey & Christy dive into what it looks like to feed healthy kids in the real world. We discuss food quality & quantity, explain some of the labeling & lingo out there & help encourage you to keep things real, do your best & let go of the idea of perfection. It takes a village, so make sure you share with us your favorite tips & tricks! XO & thank you for joining us! This week, Lacey & Christy bring you part 2 of their Fitness Episode. This week you'll learn more about strength training, mixing things up & how to incorporate more movement into your daily routine. We're so excited for you to join us. Keep us posted on all of your questions & ideas. Enjoy!! This week we are starting our series on Your Fitness Goals, where we'll talk about the best ways to get fit & our top 5 tips for working out! Fitness is one of our favorites, so we can't wait to share this with you! The Living & Collective Podcast Ep. 19 - Is It Worth The Weight?? This week on the Living & Collective Podcast, Lacey & Christy are discussing our relationship with the scale & whether or not its a good one. Join us as we debunk the myths of weight loss & gain, & learn about having a healthy relationship with our weight. Hey ladies! Raise your glass & join us for this week's episode of the Living & Collective Podcast. This week we are discussing the truth about Alcohol. Even though Alcohol is the norm, we are debunking the myths of what it does to our bodies & what it looks like to have a healthy relationship with alcohol. Join us! 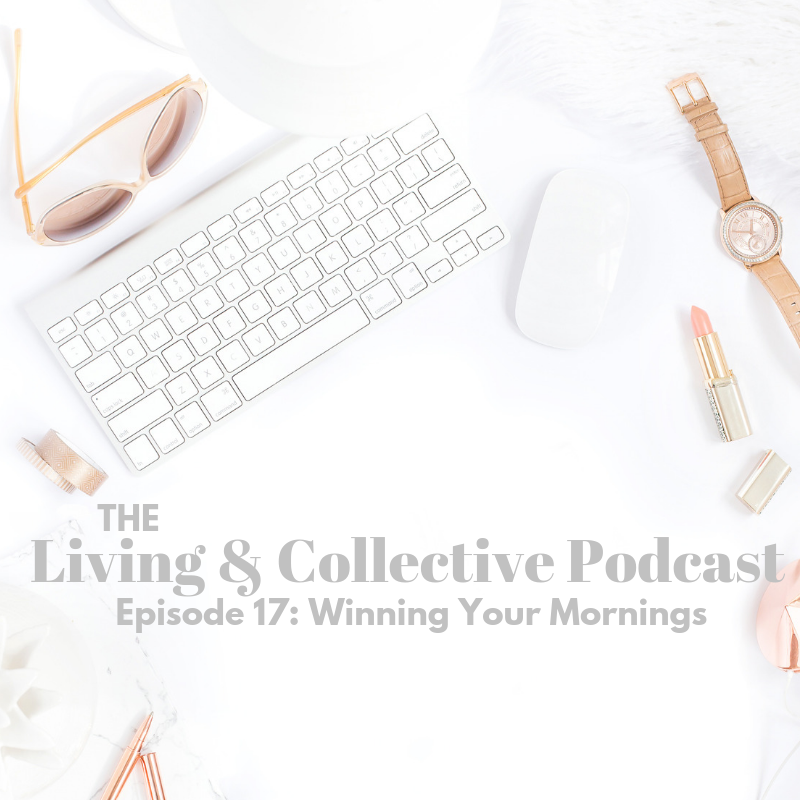 This week on the Living & Collective podcast, Lacey & Christy teach you how to set your morning up for success. From healthy breakfast ideas, to simple habits & routines to get you going in the right direction, this episode is packed with easy ways to win your mornings & improve your life! Just in case you were wondering how hot Fall in TX is, here’s a great editorial by Kristin Armstrong! This week Lacey interviews Valerie & Shauna, two Winter Olympic silver medalists in the bobsled. They talk about the inner athlete in all of us & how to embrace yours. 5. Protect your "me time" to find Peace. These practices can change your weeknights from chaotic to intentional & beautiful. We are so excited for you to join us! We have LAUNCHED our nutrition coaching program this week & are so excited to get to finally share it with you. In this episode we take a minute to share from our hearts how we came together to nutrition coach, what are program entails, & some of the ways we can help you! Even if you're not interested in coaching, this is a great episode to learn more about macros, tracking, & nourishing your body! 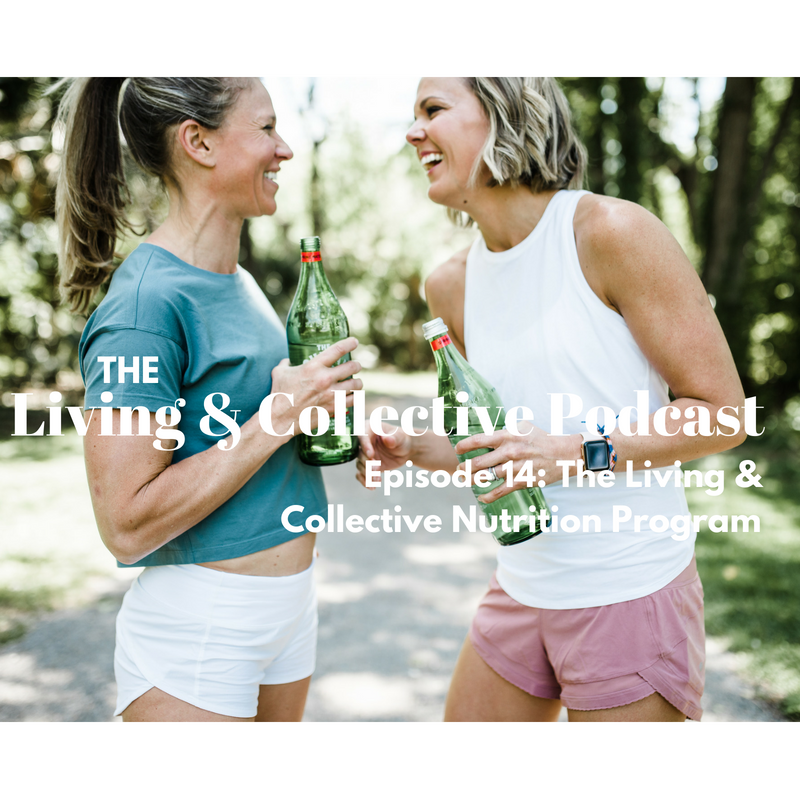 The Living & Collective Podcast Episode 13: What are Macros? We are so excited to be back together again! This week we discuss & demystify the topic of macros. We will give you a Macro 101 lesson where you will learn the importance of your proteins, carbohydrates & fats. 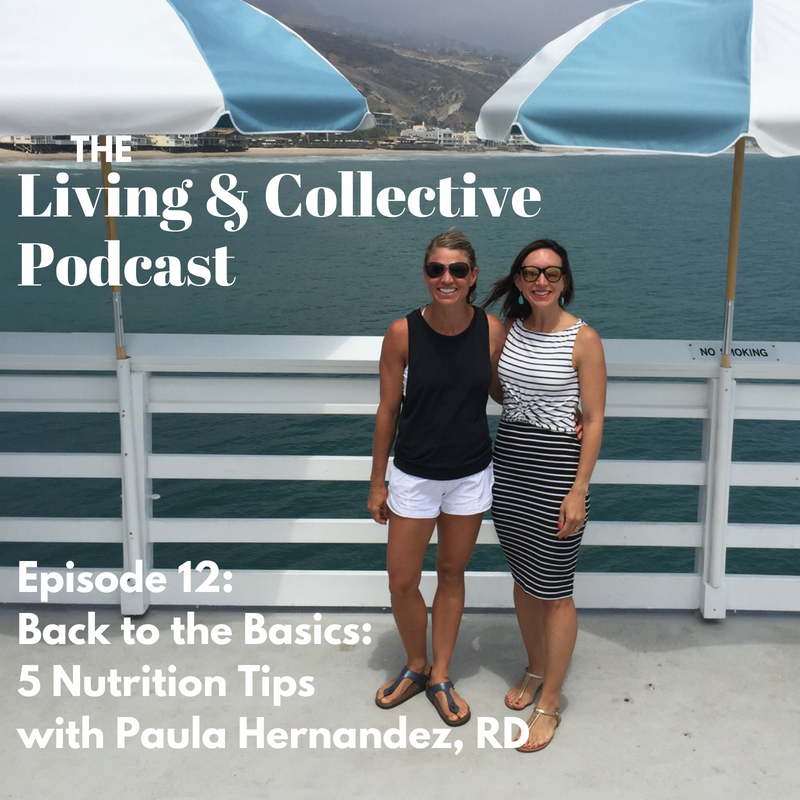 This week on the Living & Collective Podcast, Christy joins her friend Paula Hernandez, RD on the pier at Malibu Farms to talk about getting back to the Basics of Nutrition. Paula is a Registered Dietician, and Board Certified Specialist in Sports Dietetics with a Master of Education in Counseling. With the abundance of “nutrition information” out there it can be very confusing to sift through the noise & find healthy & sustainable practices when it comes to eating & nutrition. Paula gives us 5 easy ways to get back to the basics to nourish our bodies, our hearts & minds, & guide us toward a healthy lifestyle. Paula is the owner of Ola Nutrition, www.olanutrition.org. She lives in Los Angeles with her husband & daughter & loves staying active, & running with the Oiselle Running Group (www.oiselle.com). In this episode Christy has the privilege of talking to Madeleine Saxe, M.A., LMFT, a licensed marriage & family therapist in Santa Monica, California. Madeleine is an amazing, strong woman who started her movement & exercise journey as a serious dancer in New York City & has grown & changed & fallen in love with her healthy lifestyle in Southern California. She has so much to share with us on finding a healthy & fun relationship with exercise. Madeleine shares from her own personal experience of over-exercising & recovery to now living in a beautiful relationship with exercise that brings her joy, confidence, friendships, fun & happiness. She currently works out at F45, here in Venice Beach. We are so excited to have you join her & Christy in this episode. Please feel free to email Madeleine with any questions you may have or reach out to her in any way! Madeleine's Practice in Santa Monica. This week on the Living & Collective Podcast we are so excited & grateful to have Holly Fregin back with us. Holly is an amazing, strong woman, eating disorder survivor, mother of three, wife to her high school sweetheart & has her Masters in Mental Health Counseling. In this episode we are talking about FREEDOM in your health & fitness goals with Holly Fregin, Christy's sister. Holly is an amazing strong woman, an eating disorder survivor, & an advocate for healthy body image, with a Masters in Mental Health Counseling in South Florida. We are so excited to have her on the show & know you will love hearing her story & learning some of her tips for staying free in your mind & heart while pursuing your health & fitness goals! 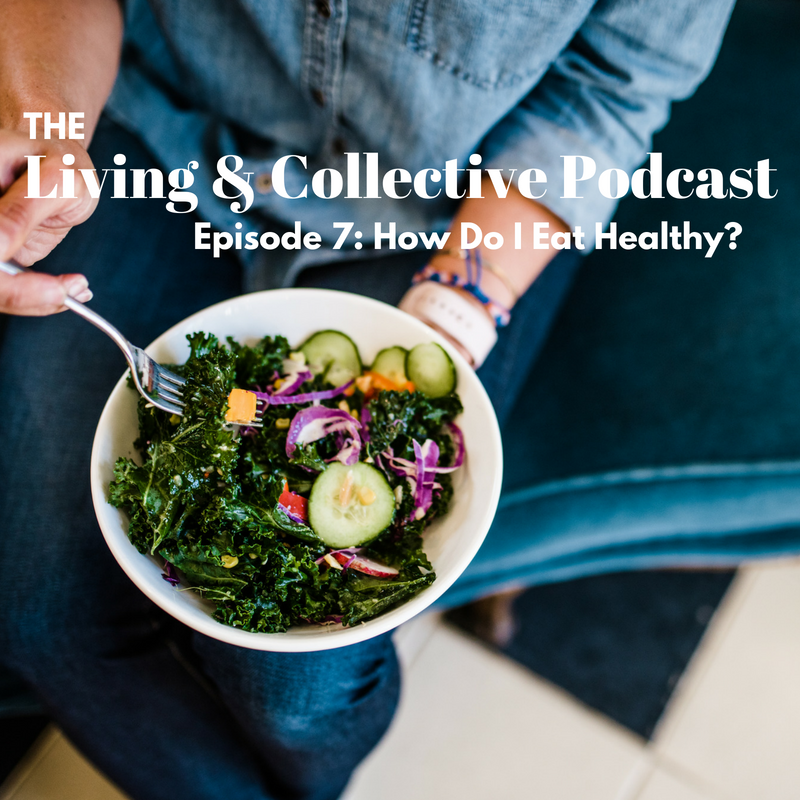 The Living & Collective Podcast Episode 7: How Do I Eat Healthy? This week we are diving into the basics of healthy eating. There are so many "ways" to eat out there that it can get super confusing, so today we are talking about our favorite ways to simplify our nutrition to nourish our bodies & feel our very best! This week we get to meet Lacey, from Living & Collective and learn a little bit about who she is and why she loves helping women become the very best versions of themselves! You are going to love getting to know Lacey better & hearing a little bit of her story. Thanks for joining! 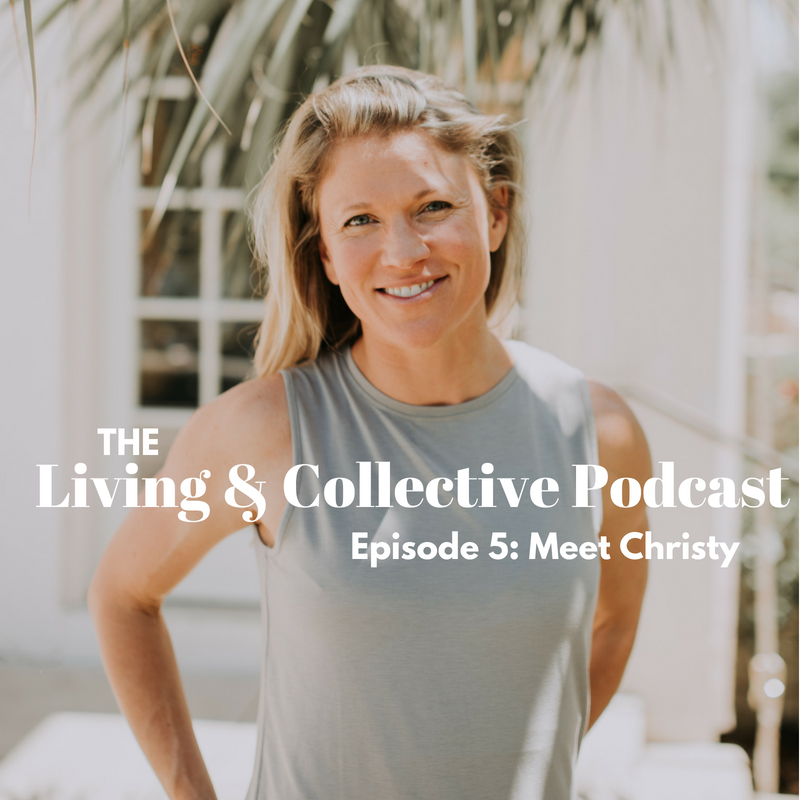 In this episode we get to meet Christy, from Living & Collective & hear her story of why she is so passionate about health & fitness, & how she arrived to where she is today. We are excited for you to get to know her a little...enjoy! In this week's episode, we are talking about simplifying your life in the kitchen & beyond & being prepared so that you can stay on track & feel your best! We will teach you how to invest just a little time in planning, how to navigate the grocery store & how to get your kitchen ready for meals for you & your family. Join us as we share our favorite tips & tricks! Summer is here & we are ready to travel! This episode is all about our favorite travel hacks & how to stay healthy & feel awesome even while you're on vacation. Join us as we talk about our favorite snacks, how to structure vacation days & our favorite things to pack... hang in there during part 2, we are still working out some technical issues(!! ), but we are learning as we go & promise to keep on improving for you...we hope you enjoy what you can hear!! Yes, there IS a Hazelnut RX Bar!! !